Hi Alexandra! Tell us a little bit about yourself! I grew up in a tiny town called Loveland, Ohio, with my mom who is an artist and have been making things for as long as I can remember. From painting, to sewing, sculpting, jewelry making, and of course knitting, there was never a lack of projects going on in our house! After getting degrees in Fashion Design and Costume Construction Technology at Indiana University, I moved to NYC to see where it would lead me. I worked in the non-profit world for about eight years before deciding to focus on my creative endeavors full time, and since then I have been designing and creating non-stop! When and why did you first pick up the needles? What was your first project? I honestly cannot remember when I first learned to knit because it seems like I’ve been doing it forever. It was one of those things where my mom taught me when I was very young, then I’d put the project down and forget about it for a year and then she’d have to re-teach me. And when the holidays came around and I wanted to make gifts I’d need a refresher. But it was probably about 10 years ago when I really dove in and started knitting nonstop. What spurred you to take the leap into designing? I mostly followed patterns until about 7 years ago when I dreamed up my Armor Scarf and knew I had to design it for myself. Designing is so much fun that I really took off after that. My inspiration comes from the world around me – nature, history, culture, trends, and function. I’m so lucky to have been able to travel all over the world, and I always draw inspiration from the different countries I’ve visited and the local artisans who create such unique pieces in their communities. It was on one of my travels that the idea for my shop’s name was solidified. In 2013 I climbed to the top of Mount Kilimanjaro, and when I reached the other side I met a woman who offered to read my tarot cards. The Two of Wands was drawn and my future was set in motion. This card is focused on taking the path of discovery and creativity, taking your ideas and desires and turning them into a solid plan for success. It is about stepping into that scary but exciting unknown and knowing that you have the potential to shine. The name represents energy, spirituality, inspiration, creativity, ambition and expansion. I think coming from a small town in the Midwest taught me the importance of making functional pieces that are approachable and not too out there, but living in NYC and traveling around the world gives me great inspiration to to design unique and stylish items at the same time. My style is chic but playful, and because as a consumer I tend to shop and wear so many different styles, I think my designs also have influence from many different directions. What is your most popular pattern and why do you think that is? The Armor Scarf was the first thing I ever fully designed on my own, and to this day it is still one of my favorite and most popular pieces. It’s a combination of a poncho, cowl, scarf, and hood so it’s very versatile and it can be worn under a big winter coat or over a tighter fit jacket. I think it is the perfect “effortlessly chic” accessory because it makes a big statement without trying too hard or being over the top and its such a functional and unique piece. What three pieces of advice would you give to someone looking to start designing? 1. Capitalize on what you know and what your style is and don’t try to be anything that you’re not. It’s important to have trending designs so that you can reach a larger audience, but every designer usually has their own take on what the season’s looks are, so don’t be afraid to add your perspective to the mix. 2. Just start somewhere and see where it goes – don’t put too much pressure on yourself. It’s easy to suffer from paralysis by analysis and sometimes even if you don’t know exactly how you’re going to work something out, it’s always better to just start and play around with what’s in your hands instead of your head. 3. Put yourself out there. Join as many platforms as you can and get your designs out into the world. Pay attention to customers’ comments and the feedback you get so you can adjust as need be and you know what works and what doesn’t. Talking about your work and interacting with other designers and knitters is motivating and inspiring! Finishing something that you designed yourself and being able to hold that thing in your hands is one of the best feelings, so even if you aren’t trying to sell your patterns or designs, I would still recommend putting your own spin on things you’re making. This week we dream about festivals and picnics, what would be a your knitted/crocheted festival essential? One of my favorite ways to accessorize with knits in the summer at a festival or picnic is to wear my new Gypsy Warrior Ankle Cuffs. I get so many compliments on them, and they can be worn over skinny jeans with sandals, with a pair of heels and a cocktail dress, or with some cut offs and bare feet if you’re frolicking around the park. They really complete an outfit and they’re sure to get some good looks. I’m also loving my Coba Backpack and Canteen Bag because they’re the perfect size to carry just what you need but nothing more, so you won’t be weighed down on your adventures. Do you get much time to knit for yourself? If yes, what’s on your needles at the moment? Everything I design is something I want for myself, so I have the best job ever because I get to constantly make myself new things and share the patterns with others! Have you got any new patterns coming up? Anything you can tell us about now? Right now I’m working on the early stages of 3 new collections for the fall – a home collection, a fall accessories collection, and a small new line of sweaters and jackets. I’m also hoping to do some children’s pieces and a men’s collection before the holidays. Best styling tips to include knits into your daily wardrobe? I think one of the main misconceptions about knitwear is that it’s only useful in the colder months. Of course you don’t want to wear a big woolly sweater in the dead of summer, but you can always incorporate knitwear into your ensemble with a lacy knit cotton tee or a crochet tote or handbag when it’s sweltering outside. 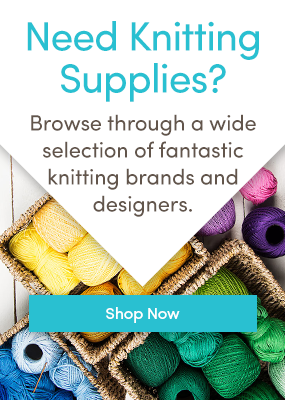 Knitwear doesn’t have to be clothing – think accessories and add knits to your look in the form of jewelry, bags, hats, and even home items like coffee cup cozies and nesting bowls. Thanks, Alexandra! To see all of her patterns, click here. Thirsting for more? You can follow us on Bloglovin’ and get inspiration delivered to your inbox as often as you like. Last updated: August 14th, 2015. She is an artist! I’m a complete fan of Alexandra’s patterns! Great work and all my good energy for your new studio and Web! Ceci from Mamma DIY Patterns!